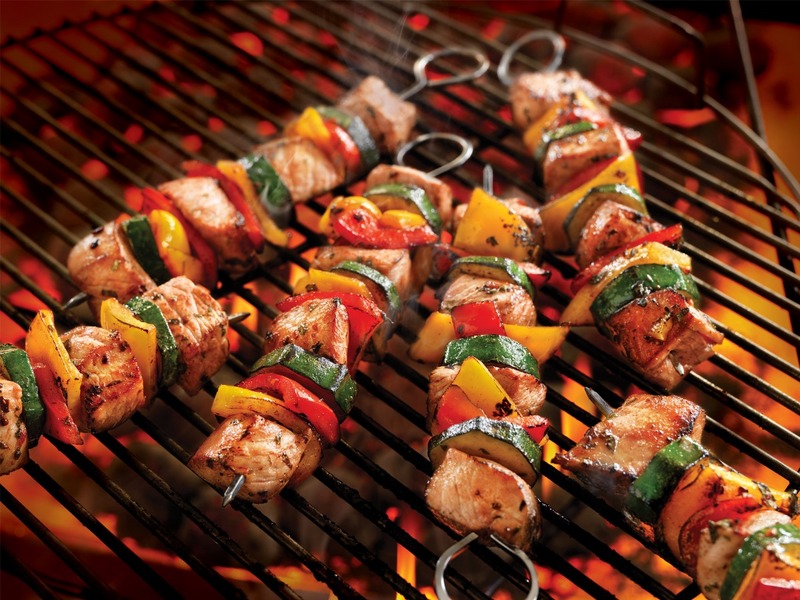 We all are aware of the surreal beaches, the dazzling clubs, and exotic food in Goa. But there is one more reason why this city is on every bucket-list. The Shigmo Festival is an annual celebration takes place in our very own pearl of the orient. The 14 day gala encapsulates numerous events, right from traditional dances to competitions and elaborate parades. The festival which was right around the corner, now has no buzz going around whatsoever. Here’s why! As a mark of respect and for the observance of mourning which has been declared due to the sudden demise of the Honourable Chief Minister of Goa, Shri Manohar Parrikar ji, the festivities were almost called off totally by the Tourism Department. 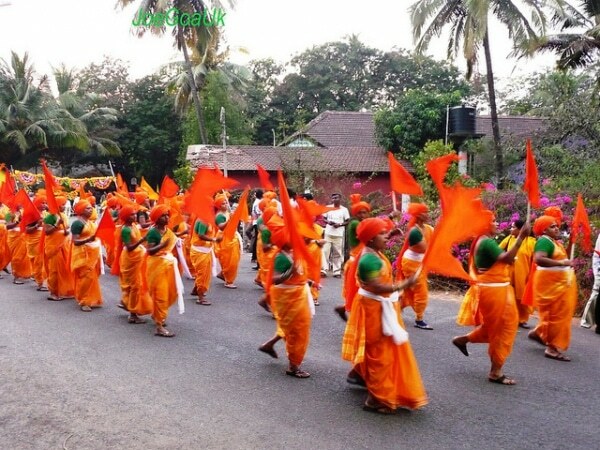 But with special requests, the Shigmo parades had to take place with postponed dates. So far, the Ponda & Vasco parades have taken place. The dates of the procession in other cities still remains to be unclear. Known as the ‘Festival of colours’ or even ‘Festival of Spring’, Shigmo is celebrated to honour the return of all the warriors who left their families behind only to fight the invaders. Farmers too, officially say goodbye to the winter season and celebrate the start of summer. It is a fabulous 14 days of non- stop merriment for everyone participating in it with the utmost excitement. The vibe is precisely what makes this festival even more grand and spectacular. 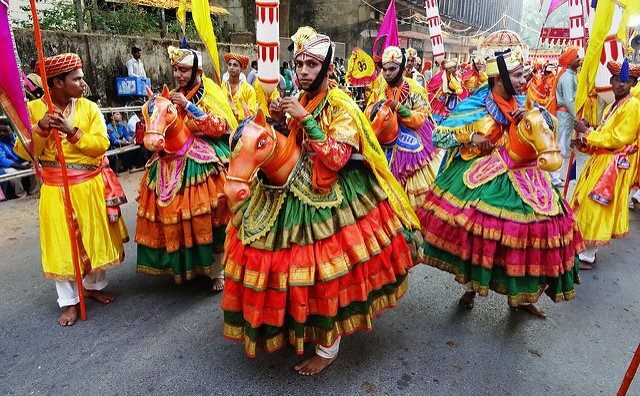 The festival commences with throwing bright vibrant colours in the air. It is basically the fifth day of the festival and is known as ‘Rang Panchmi’. 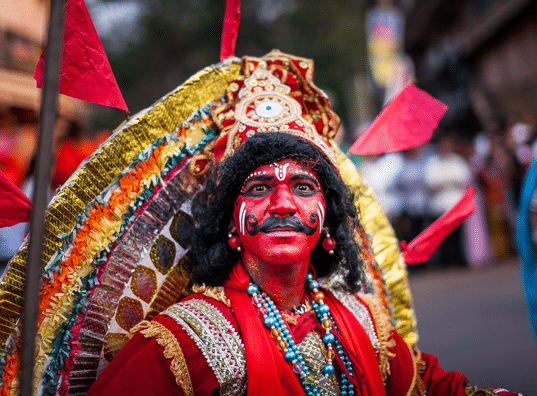 Locals splash a red hued, ‘Gulaal’ on each other as is ancient tradition. 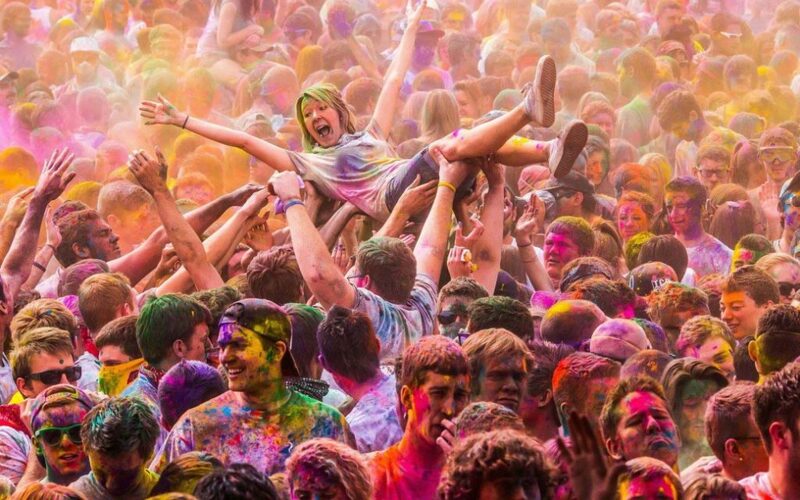 You can enjoy this festival and experience the joy of liberating your fears amid vibrant bright colours. Groups of people dress up in diverse traditional garbs from various regions to perform religious skits from various Hindu mythological stories. 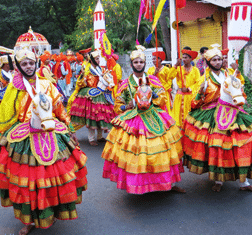 The streets of Goa witness a larger-than-life celebration! The sound of dhols, and drums create an exhilarating and positive environment in the entire city. Goa is lit with flashy lights as people enjoy every moment of the festival. It is not common for a celebration of this scale to happen all the time. 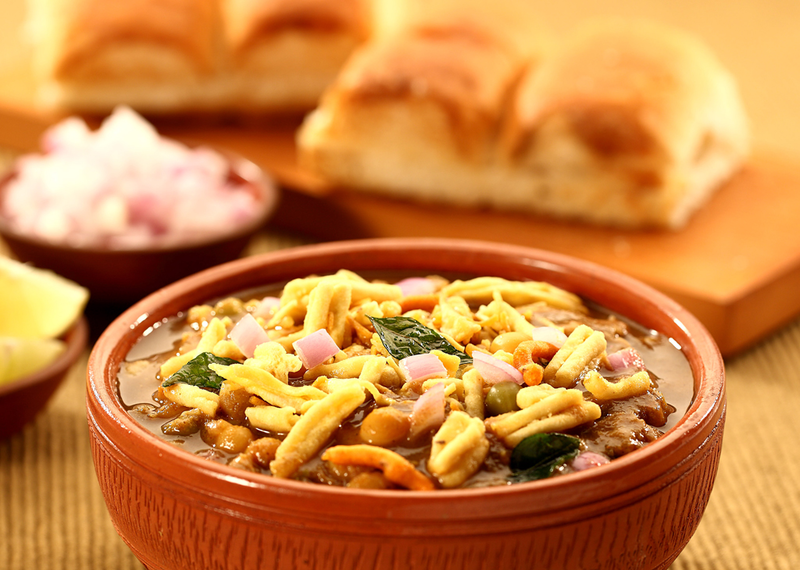 Hence, head to the Shigmo Festival and make memories which will last you for a lifetime!